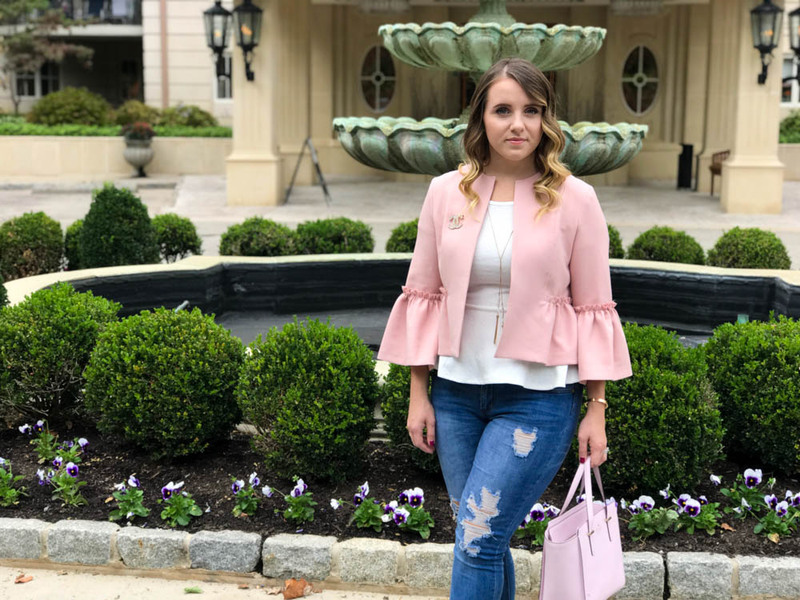 This may sound crazy or like I'm a mega girly girl (or typical blogger? ), but at this point I don't care. It's a love that I'm no longer ashamed of. 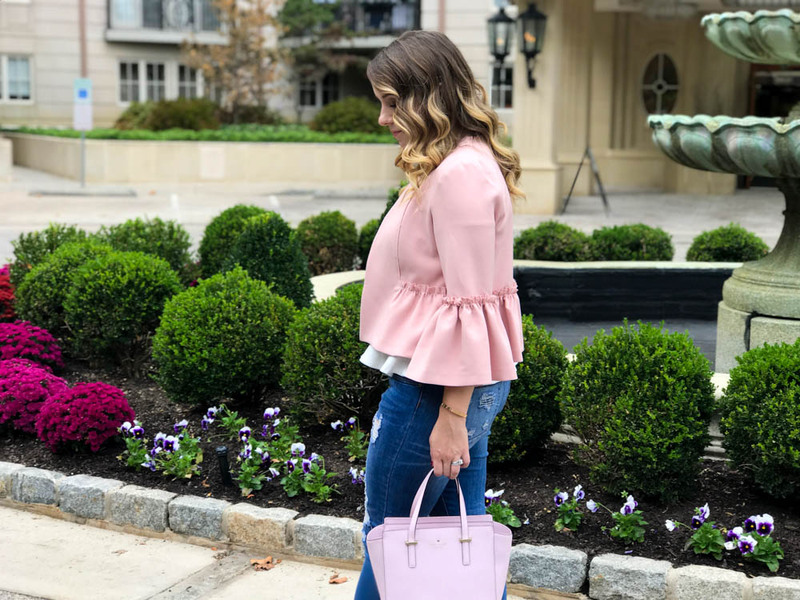 Half my closet is blush, my wedding was blush, and my office is slowly turning into a collection of blush items! But I love it - my keyboard, my mouse, my mousepad, even my file folders (haha)! 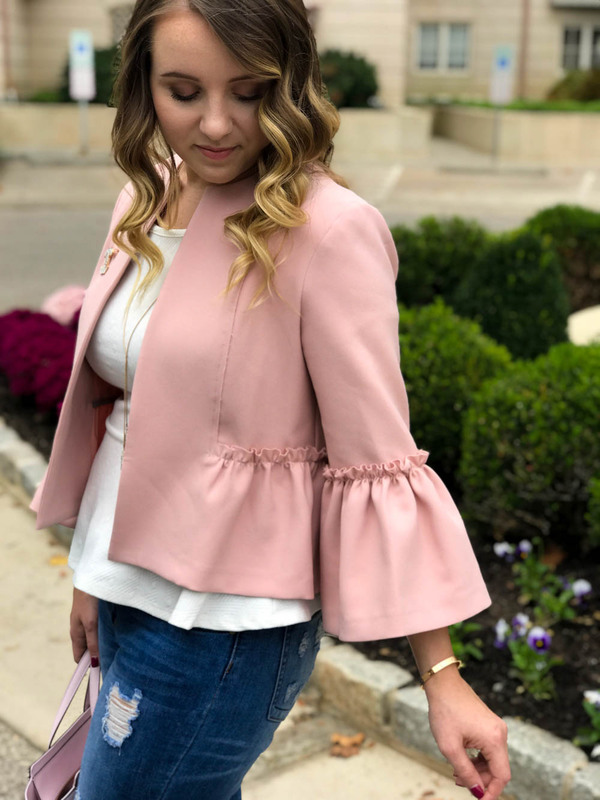 I absolutely adore this ruffled & peplum blazer. 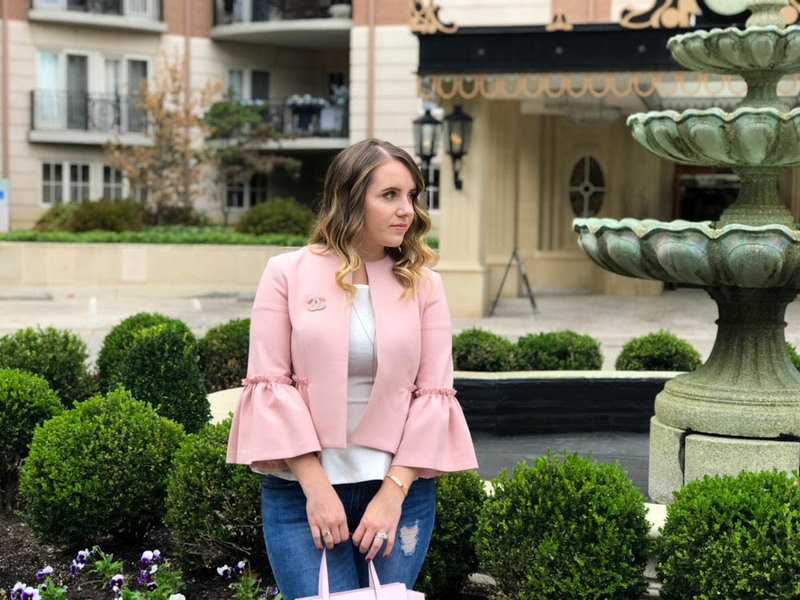 When I saw Julia from Gal Meets Glam share it on her instagram story, I immediately knew I had to have it! 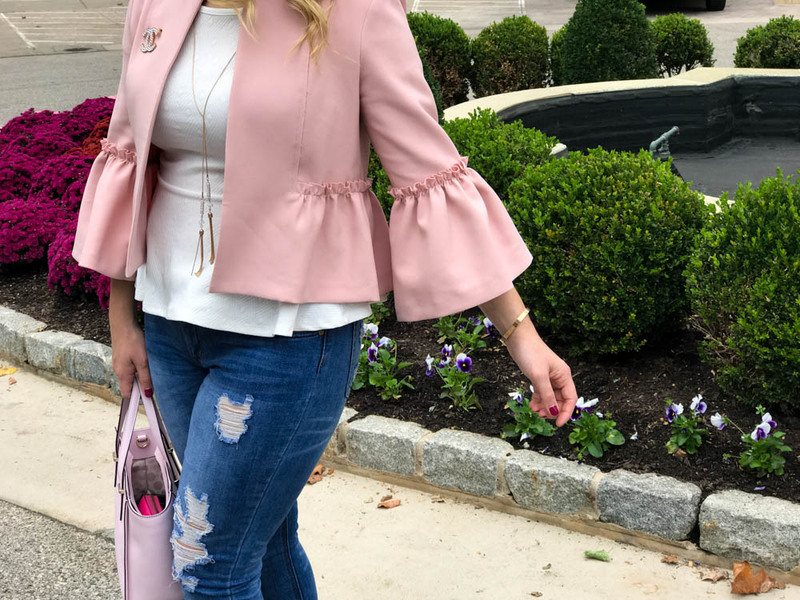 It's such a lovely combination of girly, fun & unique! 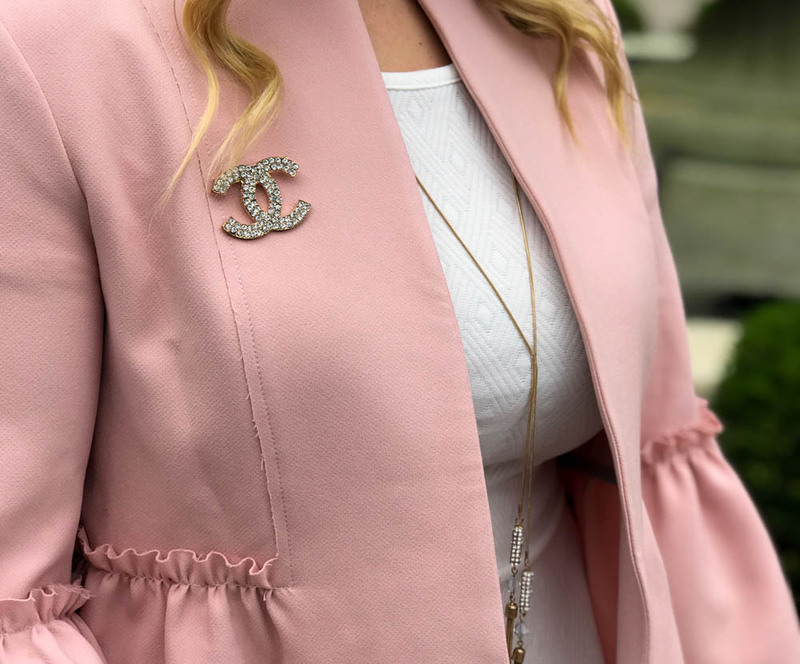 I pinned a little vintage Chanel brooch to add a touch of glam & fancy to this cute piece (as if it needed any spicing up). 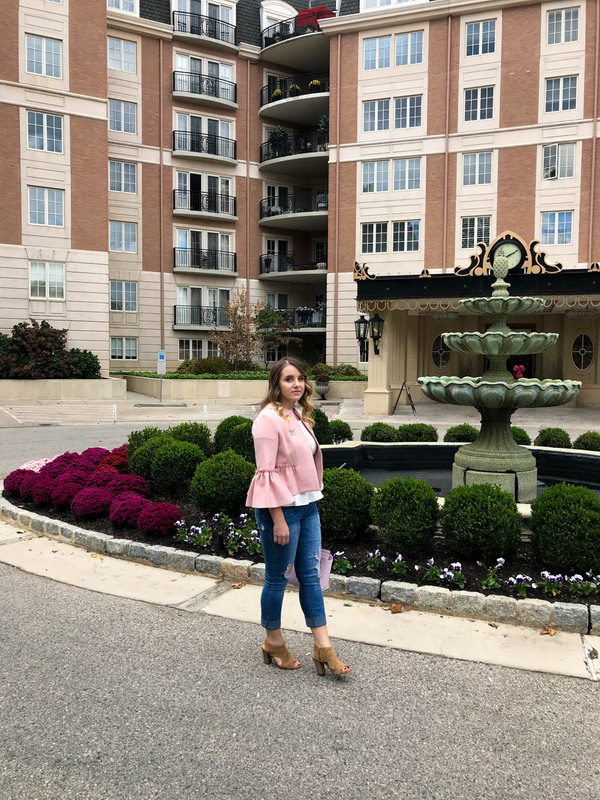 (Somewhat) Fun Fact: I'm wearing this blazer as I write this post! Except today I wore it as a pop of subtle color for an all black look (black sweater, black jeans, & black booties). 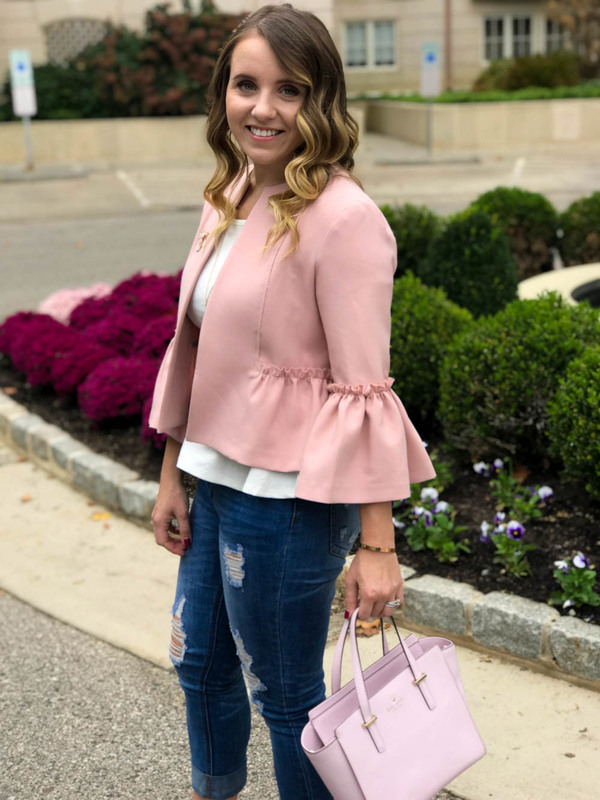 What is one (or more) piece of clothing that you have been obsessing over? 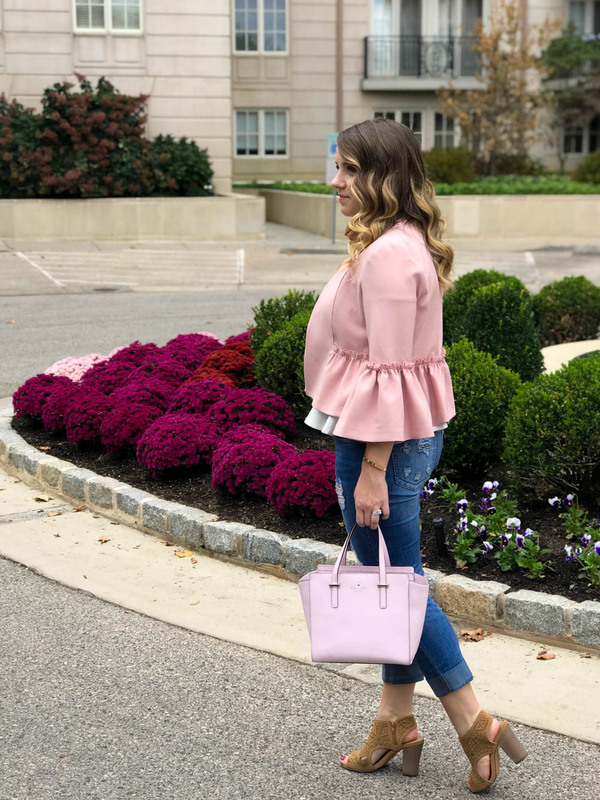 Have you also noticed yourself wearing one color consistently? Feel free to share in the comments below or tag me in your posts on instagram!